A bona fide european acid legend, Menno Van Os was originally a member of the infamous Unit Moebius crew, the heads behind the Bunker parties and label, godfathers of the Hague's industrial techno/planet rock scene. Duracel is his own personal side project dedicated to slow and depressive electro bass funk, and is highly typical of the downright screwed electro and italo robot music scene focussed around i-F and the whole dutch electro thing. Utilising a purposeful palette of vintage synthesizers, drum machines and a cloying sense of European darkness, Van Os sculpts queer and ornate rhythms from his menagerie of machines, layering detuned and strange harmonics over these to a unique and wholly satisfying effect. 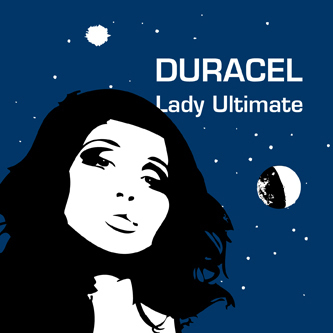 Duracel more than proves his worth as a master of subtly deranged electro synth pop par excellence, think Skanfrom, Alden Tyrell in a funny mood, or even early Drexciya for reference points. Mint.